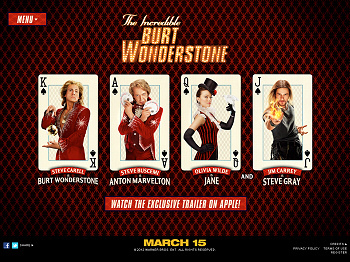 ...Are you asking Bout' Burt Wonderstone I think the release date for the movie is in 2013... Not Sure. It's a summer 2013 release, if I'm not mistaken. I hope not... December 31st? Ouch! That's way too long for a movie to premiere. December 31 is not a release date. TNPihl wrote: December 31 is not a release date. I think Spring 2013, just before the Summer movies. That website list many of the movies set for release in 2013 on that day (Sunday). Nothing has been announced from the studio yet, so we just have to wait.